After many years (five years!) 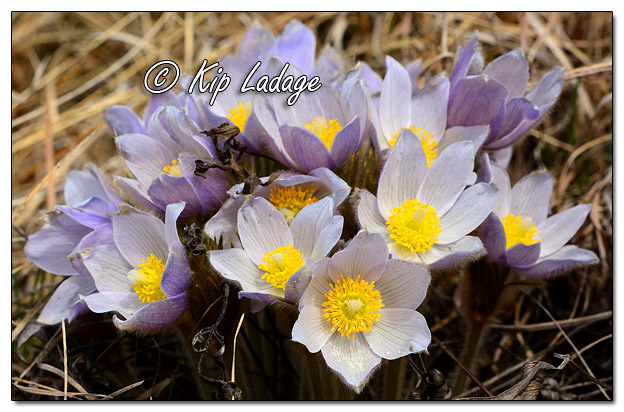 without enjoying the good fortune of photographing pasqueflowers during their spring bloom, today was the day I did it again – and it was fun! Instead of hiking back to where I used to find the dainty little flowers, my wandering today took me to a prairie in a different county. I read about the flowers and asked for general directions. The guidance put me close to the low-growing plants, but I still had to work for my pictures. 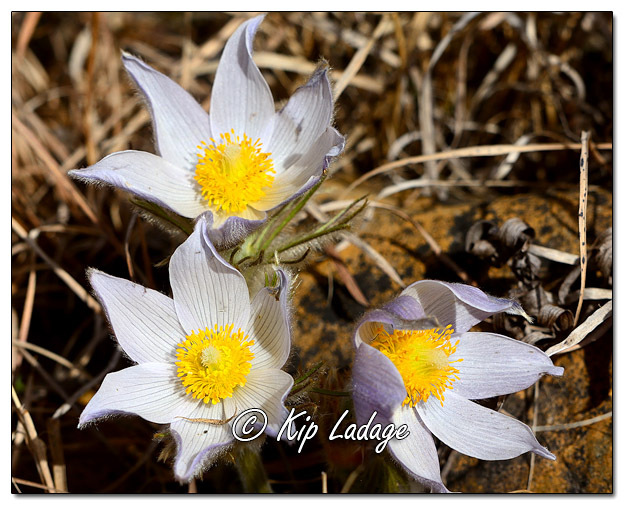 Pasqueflowers grow very low to the ground. 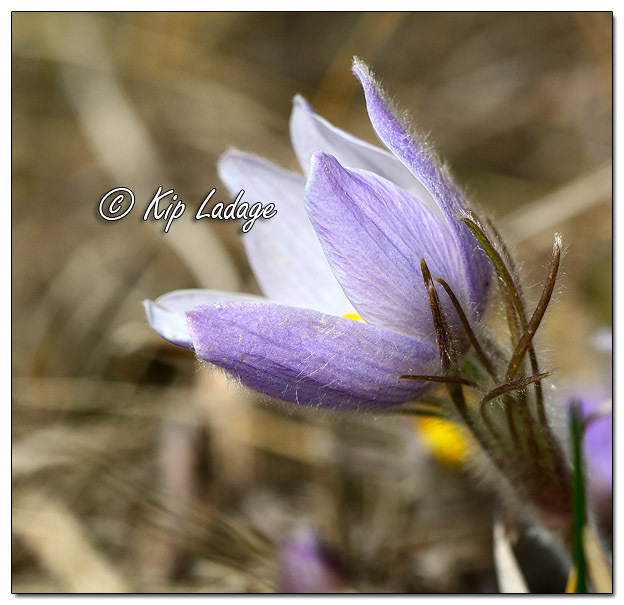 In a prairie environment, many of the flowers were hidden by last year’s grasses. In other words, you had to work to see some of the blossoms, while others were more obvious. Due to a shortage of time, I am going to share only a few pictures tonight. 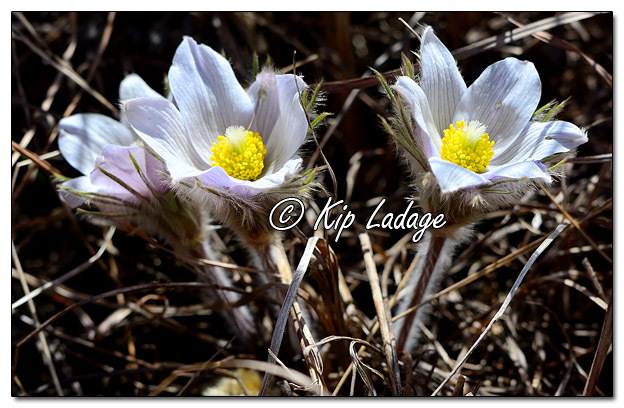 As soon as possible I will share more from the day, including many pictures that were not of pasqueflowers. Hint…it was a great day with my camera!